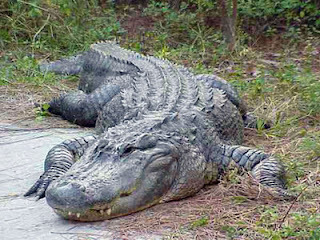 Animal Wildlife | Alligator | Alligators are in the same family as crocodiles but are native to only two countries, which are the USA and China. Alligators tend to be smaller than their crocodile cousins but have been known to move at speeds of up to 30mph on land making them one of the fastest large reptiles in the world. Alligators tend to live to about 50 years old or so but some have been known to live at least another 20 years when in captivity. Alligator DNA is thought to date back to even before Dinosaur times meaning that the alligators survived whatever it was that the dinosaurs didn't!. The Alligator is generally a solitary predator, but smaller species of alligator however, are known to stay together in groups especially when hunting. 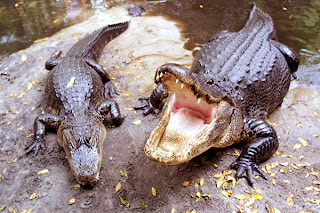 The Alligator eats fish, small mammals and birds, but the alligator has also been known to attack much larger animals. 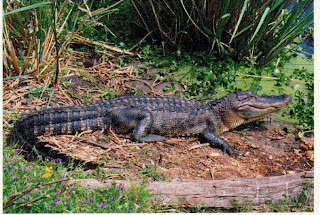 The American alligators are found in the south-eastern USA, all of Florida and Louisiana, the southern parts of Georgia, Alabama and Mississippi, coastal South and North Carolina, Eastern Texas, the south-eastern corner of Oklahoma and the southern tip of Arkansas. 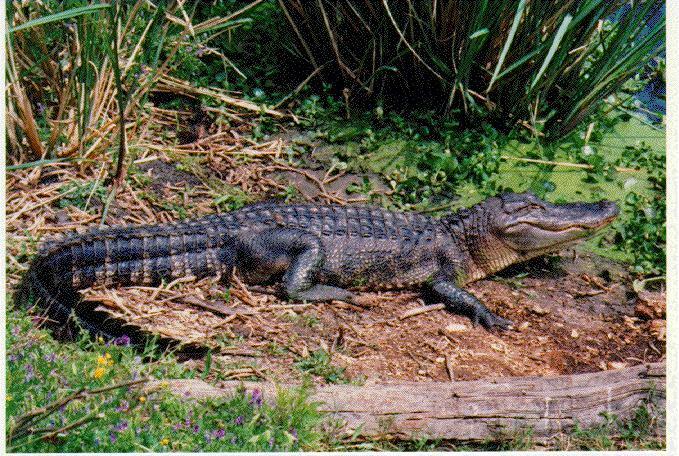 The majority of American alligators inhabit Florida and Louisiana, with over a million alligators thought to inhabit each state. 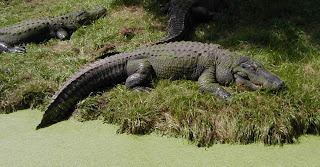 The American alligators live in freshwater environments, such as ponds, marshes, wetlands, rivers, lakes, and swamps, as well as brackish environments. Southern Florida is the only place in the world where both alligators and crocodiles live in the same place. The Chinese alligator is currently found only in the Yangtze River valley and the Chinese alligator is extremely endangered with less than 100 Chinese alligators believed to be left in the wild. There are many more Chinese alligators that live in zoos around the world than can be found in the wild. 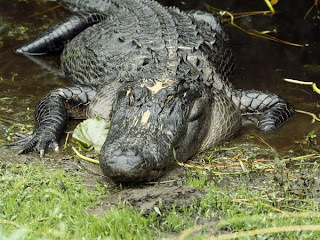 Adult alligators have been known to hunt deer and are well known to kill and eat smaller alligators. In some cases, larger alligators have been known to hunt the Florida panther and black bears, making the alligator the dominant predator throughout the their environment. 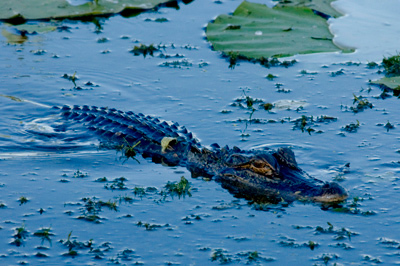 Unlike large crocodiles, alligators do not immediately regard a human upon encounter as prey, but the alligator may still attack in self-defence if provoked. 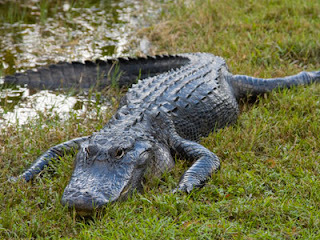 Alligator attacks are uncommon but alligators have definitely been known to attack humans if the human is in the alligator's territory.